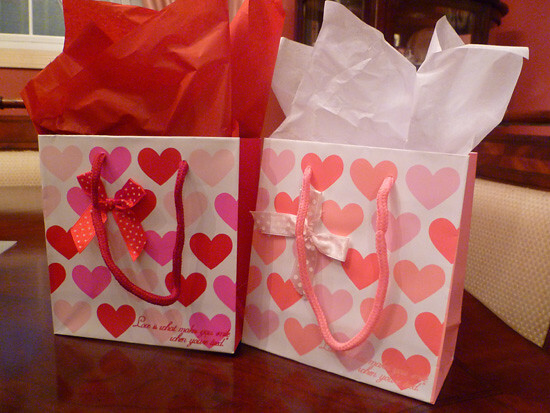 For each of my family members, I left a cute little gift basket next to their bed so that they could have a surprise as soon as they woke up. 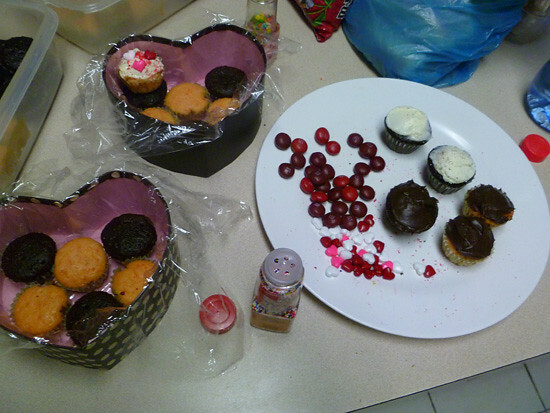 I also decided to bake and decorate some cute Valentine cupcakes!! 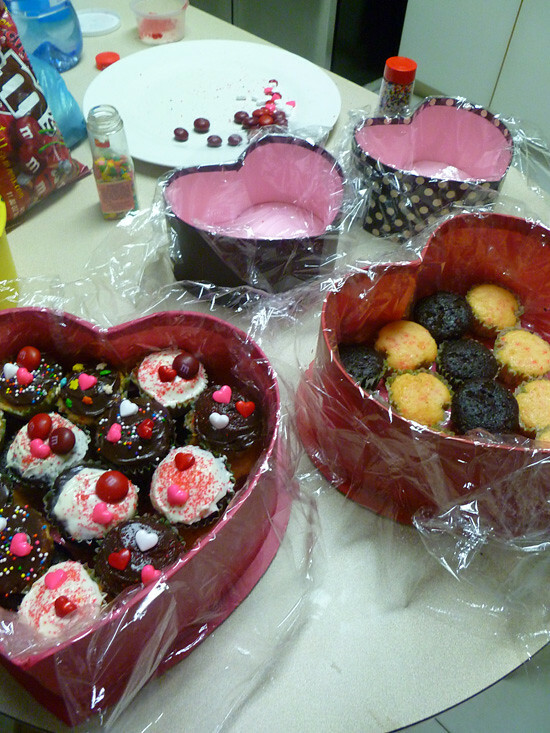 I decided to give a small heart shaped box with cupcakes in it to each of my two best friends. 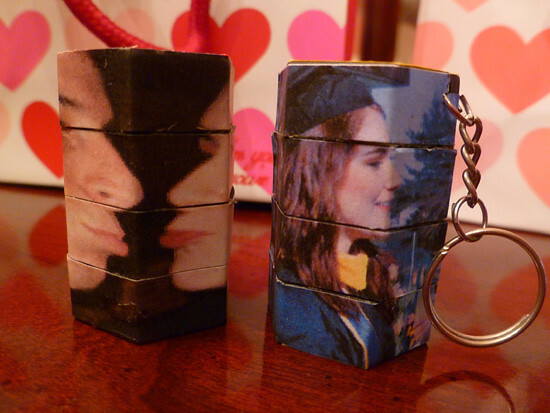 They turned out SOOO cute if I do say so myself. 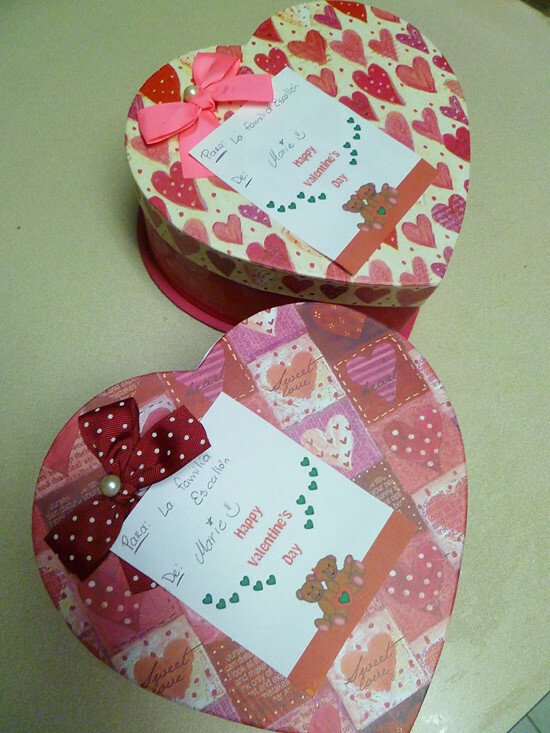 I also put the cupcakes into two bigger heart shaped boxes and gave them to my boyfriend's mother. 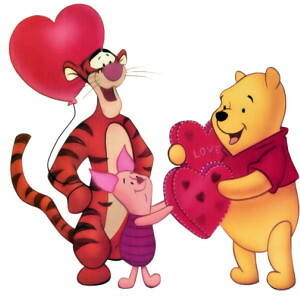 She really loved them! 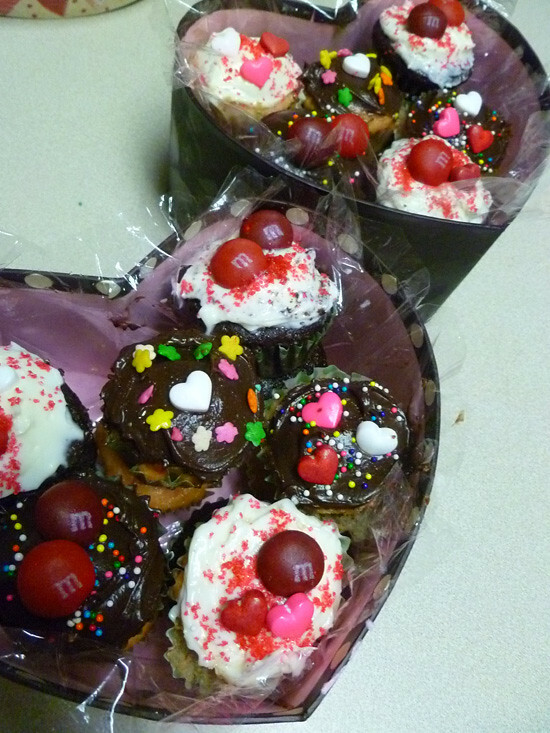 I was SOOO pleased at how these Valentine cupcakes turned out. 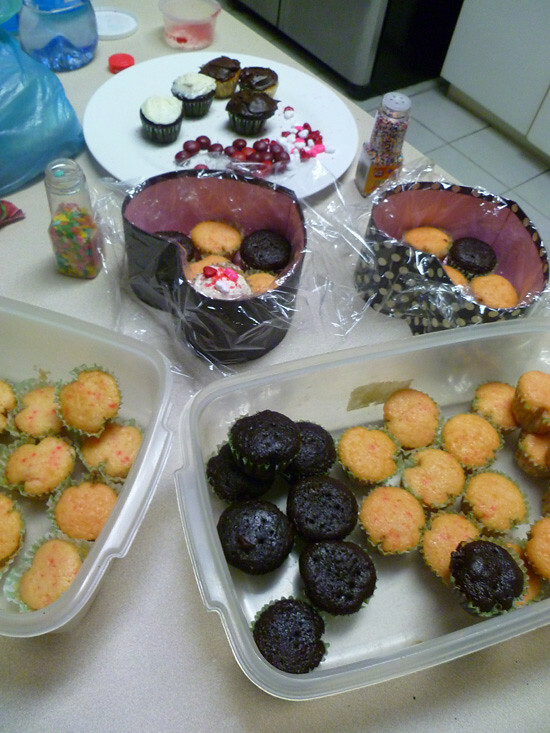 I used candy and colored sugar to decorate the cupcakes, so they were really easy to make. 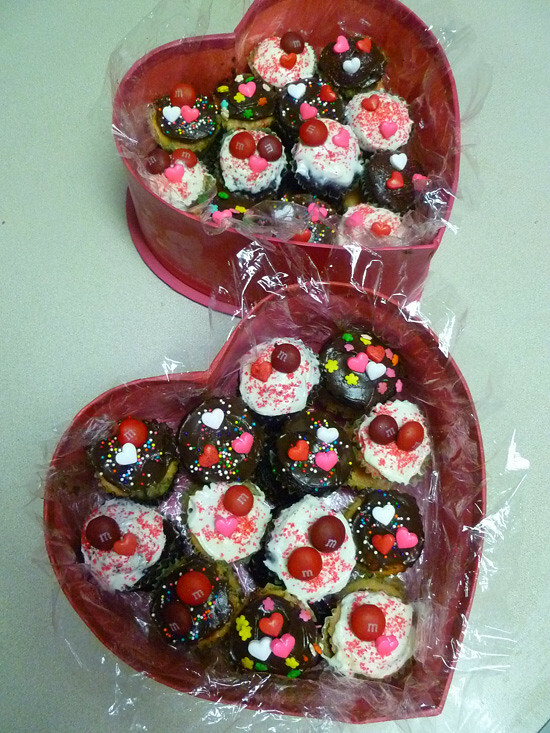 Since these turned out so much cuter than I expected, I was hopping and cheerful all day! 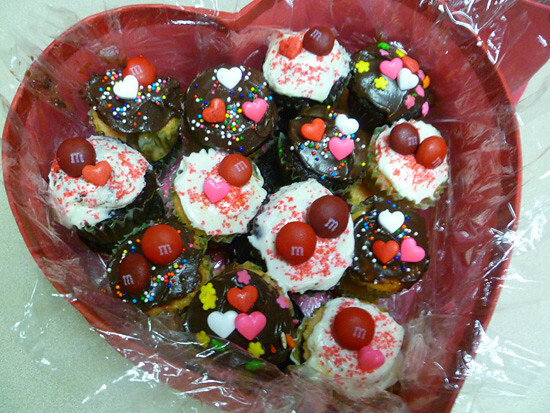 Did you make any Valentine surprises or treats? You're so much more creative than I am...I made break-and-bake cookies with my daughter, but that's really all we had time to do! 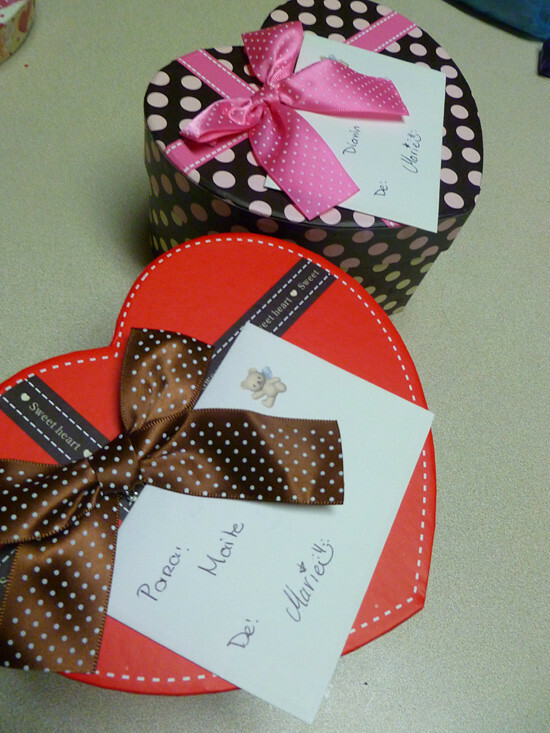 These are wonderful, you did a great job and I'm sure everyone was very appreciative!